possibilities for excuses and I'm sure you can think of one or two that you are guilty of. What differentiates the successful people, is that they make themselves stronger than their excuses. No matt what gets thrown their way, their desire to build muscle and burn fat is simply stronger than any excuse that may pop up. 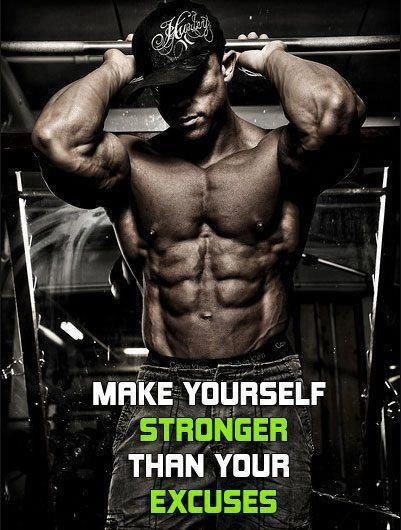 Make yourself stronger than your excuses today.